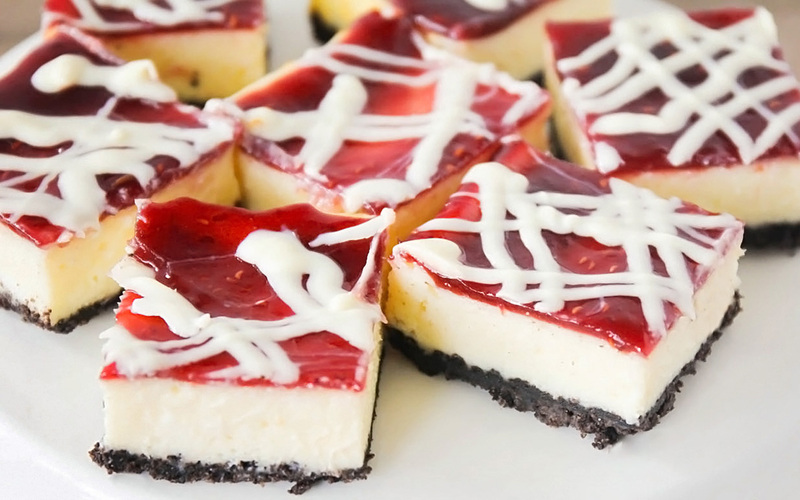 These White Chocolate Raspberry Cheesecake Bars may look fancy but they’re so easy to make! 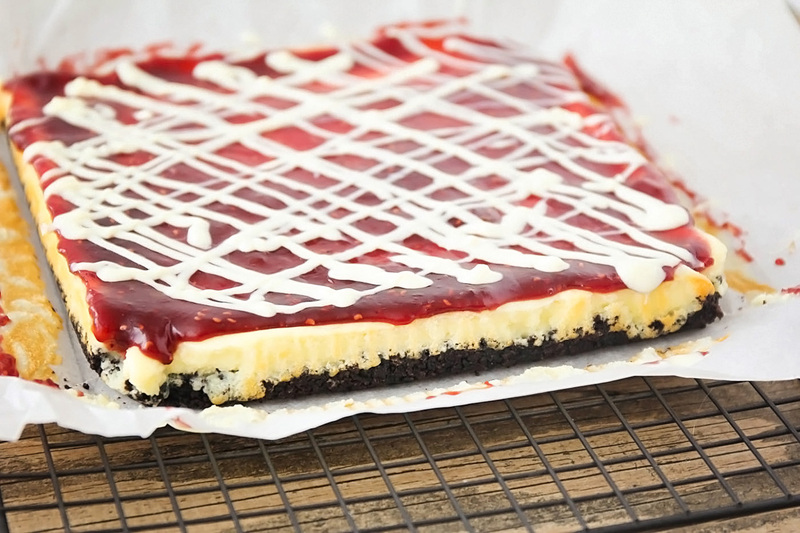 The white chocolate and raspberry flavors paired with a homemade oreo crust make them impossible to resist. I’m a huge fan of cheesecake. 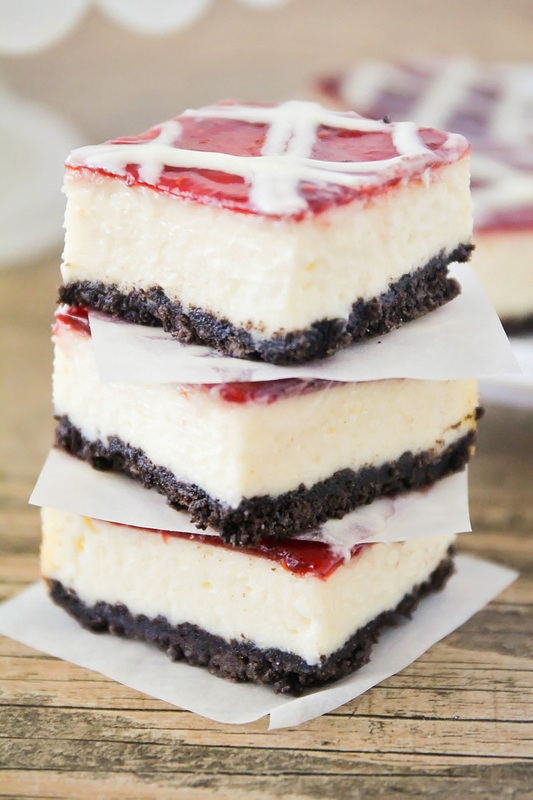 While I typically go for the chocolate flavors I’ll definitely make an exception for these delicious raspberry cheesecake bars. I do have to say it’s that homemade oreo crust that seals the deal for me on this decadent dessert! My sister in law is the one who introduced me to these cheesecake bars. The first time I tasted them I had to have the recipe and trust me, you better be prepared for requests for the recipe when you make them! 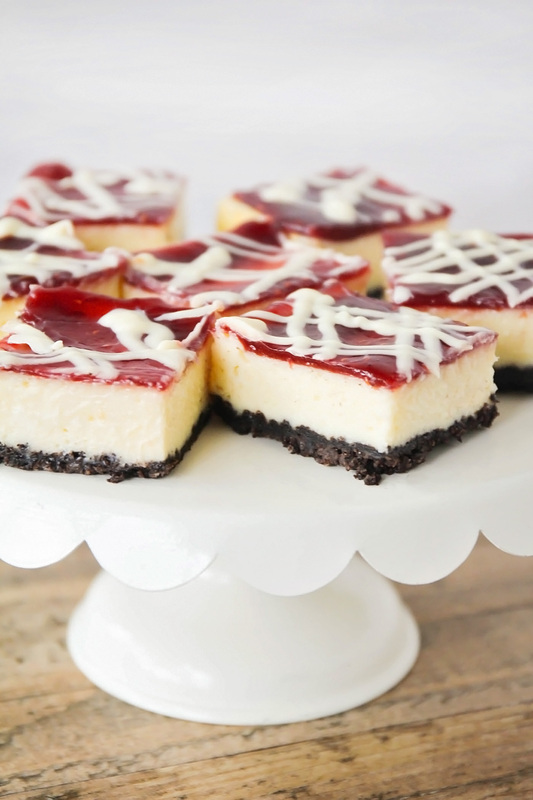 The combination of rich cheesecake, a homemade oreo crust, white chocolate and raspberry flavors are heavenly. These bars are fancy enough to serve for company but easy enough to make for your family any time! Start by lining your pan with parchment paper being sure to let the ends of the paper to extend over the sides. 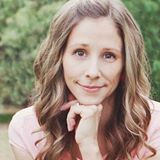 You’re going to make a basic oreo crust, combining cookie crumbs and margarine and pressing them into the bottom of your pan. Next you’ll prepare the white chocolate cheesecake filling by combining room temperature cream cheese, sugar and vanilla. Add melted white chocolate squares. Pour this mixture over the oreo crumb crust. Bake 25-28 minutes or until center is set. 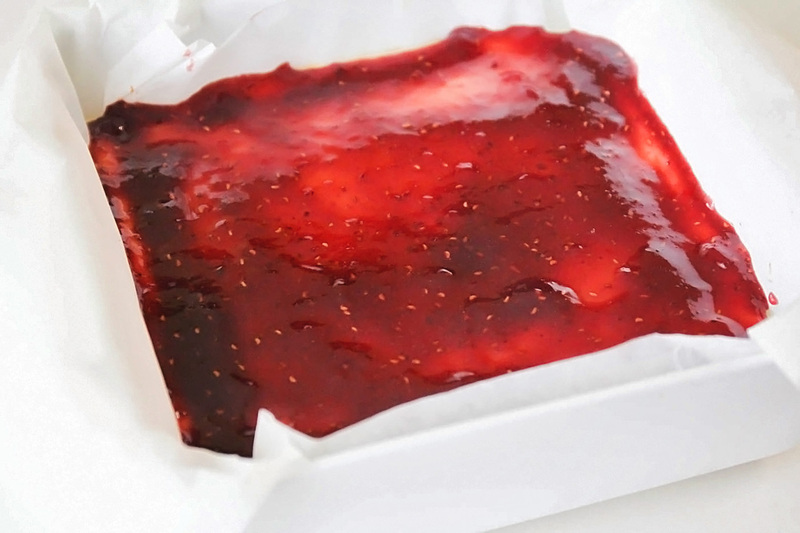 Allow the cheesecake to cool for 5 minutes and then spread with raspberry jam. 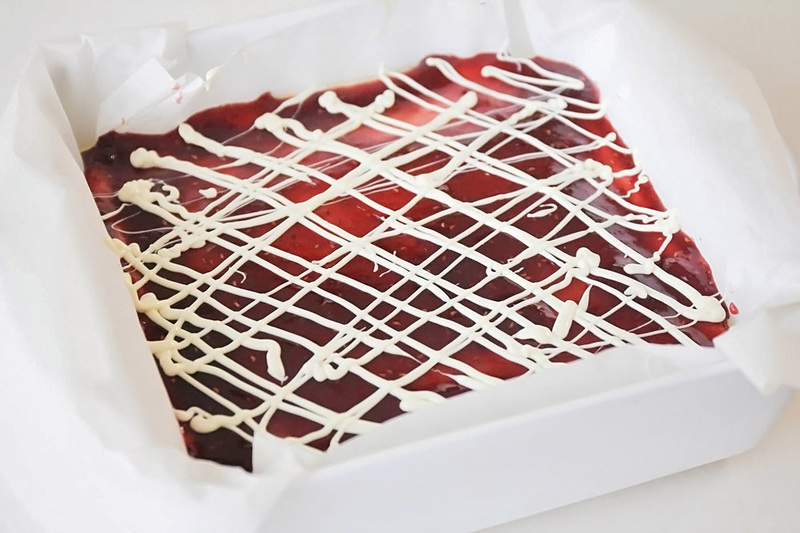 Melt the remaining white chocolate and drizzle over the the cheesecake then allow to cool completely. Refrigerate before serving. Cut into small slices as this dessert is incredibly rich. Preheat oven to 350 degrees. Mix cookie crumbs and margarine, press onto bottom of 9x9 inch pan. 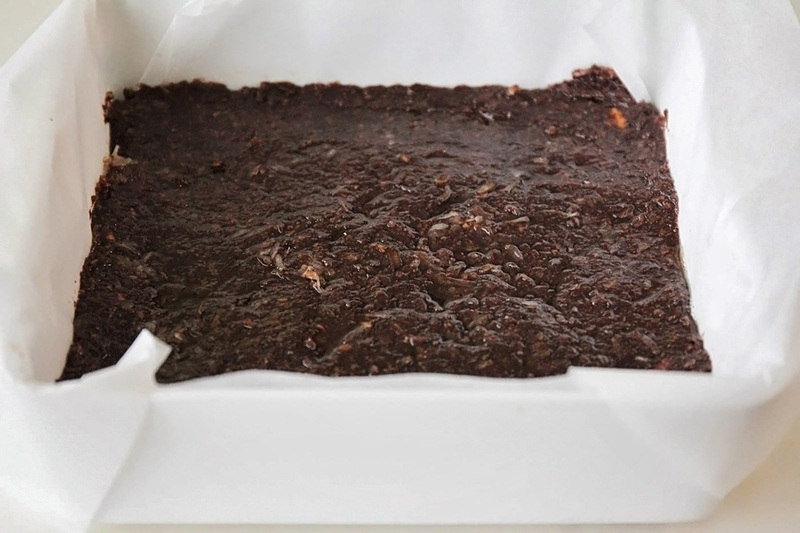 Melt 2 chocolate squares as directed on package. Beat cream cheese, sugar and vanilla with mixer. Add melted chocolate, mix well. Add eggs 1 at a time, mixing on low speed after each just until blended. Pour over crust. Bake 25-28 minutes or until center is almost set. Cool 5 minutes, spread with jam. Melt remaining chocolate square, drizzle over cheesecake. Cool cheesecake completely. Refrigerate at least 4 hours. Cut into 24 bars. These cheesecake bars freeze so well. Make a batch and freeze them for an upcoming party. They’re pretty and absolutely perfect for sharing. This recipe can easily be doubled and made in a 9″ x 13″ pan if you’re serving a crowd. No matter how you slice it – these White Chocolate Raspberry Cheesecake Bars are absolute perfection! Do you remove the cream filling from the Oreos before you crush them? Thanks! Is a “square” of bakers the tiny 1/4 oz rectangles? Or the group of four, 1 oz? What a delicious combination!! They are so soft & I love the raspberry on top!